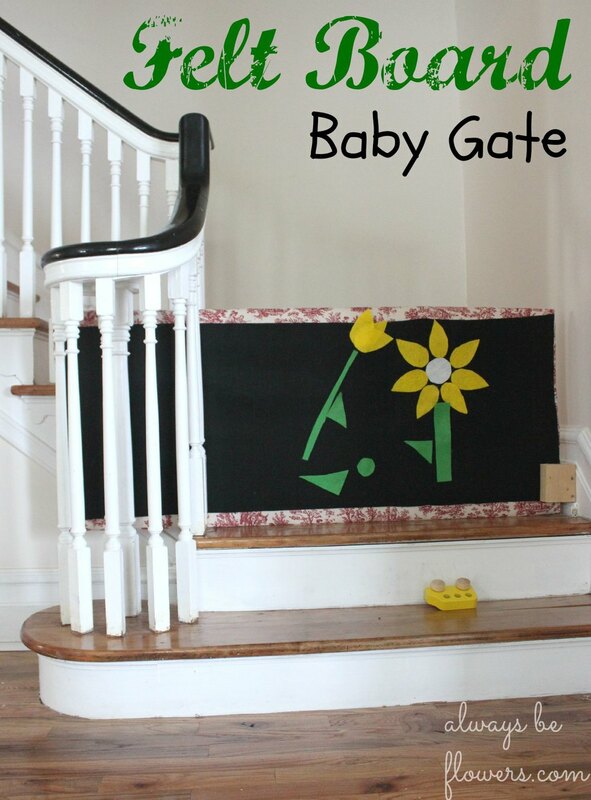 Felt board baby gate slides aside for stair use. 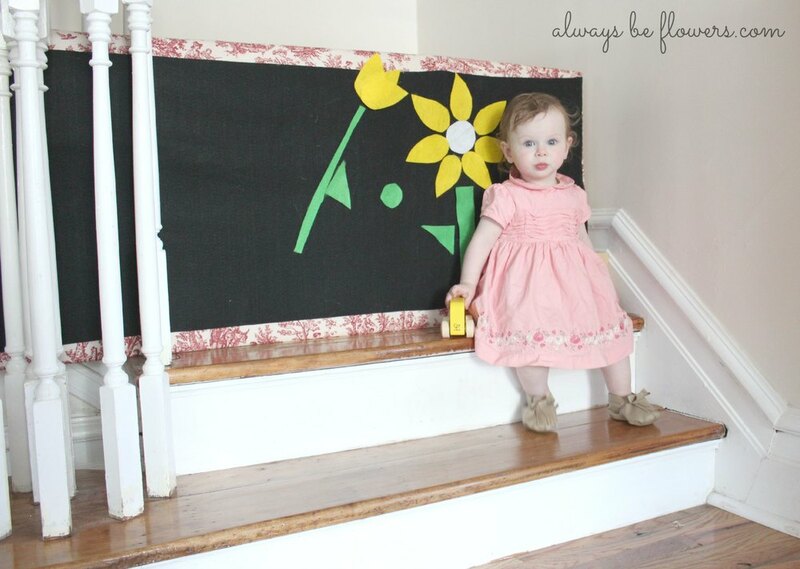 Our house, like most old houses, is not easy to fit with baby gates. Our baseboards are tall which makes pressure mounting impossible. Plus the house is a little crooked from settling. I was convinced we could come up with a way to keep our little monkey from climbing up the stairs. The first two steps have become a favorite play spot. My husband and I brainstormed, before she was mobile, as to a gate solution. No conventional gate would work at the foot of our stairs because we had a combination of spindles on one side, tall baseboards on the other, and a wide opening. 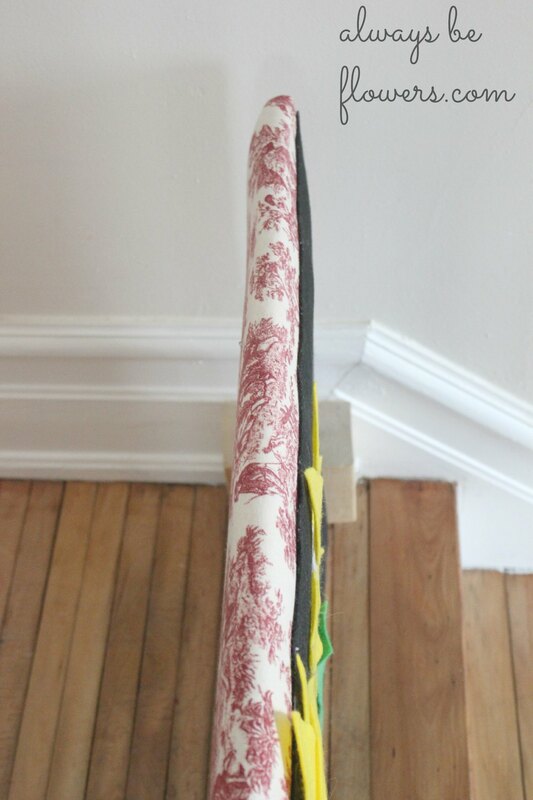 I have seen a solid piece used as a barricade for steps, sliding between spindles on one side. We took this concept and made a felt board on the other side. The hope is that our daughter will find the “barricade” to be a plaything and not a conquest. This concept is currently working. Batting (from an old sleeping bag) is the first layer over the plywood. 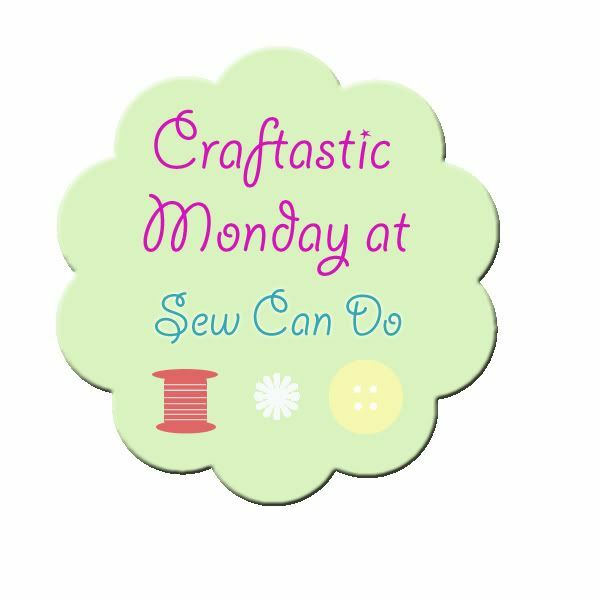 Then upholstery fabric is stapled. The construction was simple. I upholstered a piece of plywood then hot glued felt to the other side. This way I can turn the board around to be a little more attractive since this is the first thing seen upon entering our front door. The spindles hold the board in place on one side. The other side required screwing small pieces of wood into the baseboards. The baseboards did need an additional piece of wood to prevent her from pushing the one side of the board backwards. We drilled a pilot hole and screwed small pieces of wood straight into the baseboards. Painted white they wouldn't be too unattractive. Also a trim wood should look nicer. But we used what we had available and painting them is very low on my priority list. We are happy with this creative kid proofing solution! We still need a creative fix for the top of these stairs. Please share your creative kid proofing in the comments below!